The TBC1 Chair by Adam Lynch is designed and manufactured in Melbourne using traditional manufacturing methods. Much like its brother, the TBC2 Chair, this product challenges owners to explore the unique romanticism of leather furniture. Develop your own design narrative with the TBC1 Chair. This bespoke furniture product is sustainably designed and manufactured locally in Adam’s design studio. The TBC1 Chair by Adam Lynch is on display at the Catapult Design showroom Monday to Friday from 9am to 6pm at Unit 6, Level W2, 42 Wattle Street, Ultimo. Adam studied an Associate Degree in Design (Furniture) at RMIT, then went on to do his honours in Industrial Design also at RMIT. He launched Dowel Jones with close friend Dale Hardiman in 2013. Being based in Melbourne allows Adam to stay at the forefront of all things design. He has become known in the community for his unique approach to design and marketing genius. Every project, product, commission or photo shoot is always informed by the last experience and what Adam has learnt from it. His aesthetic is building as he develops as a designer. Adam Lynch, one half of dynamic duo behind Dowel Jones, is a local Australian furniture designer and maker. Adam aims to simplify his furniture to the bare essentials without compromising on its aesthetic values. See Adam Lynch’s ‘The Local Project Profile’ and view his design studio’s expansive catalogue of Melbourne designed and manufactured products that are available for purchase on The Local Marketplace. The lead time of the TBC1 Chair designed by Adam Lynch is 8 weeks. Local pick up can also be arranged from Adam Lynch’s Melbourne workshop – please get in touch with us at marketplace@thelocalproject.com.au if you would like to arrange local pick up of your product. International shipping of the TBC 1 Chair by Adam Lynch is available upon request. Please contact The Local Project team at marketplace@thelocalproject.com.au for a quote. 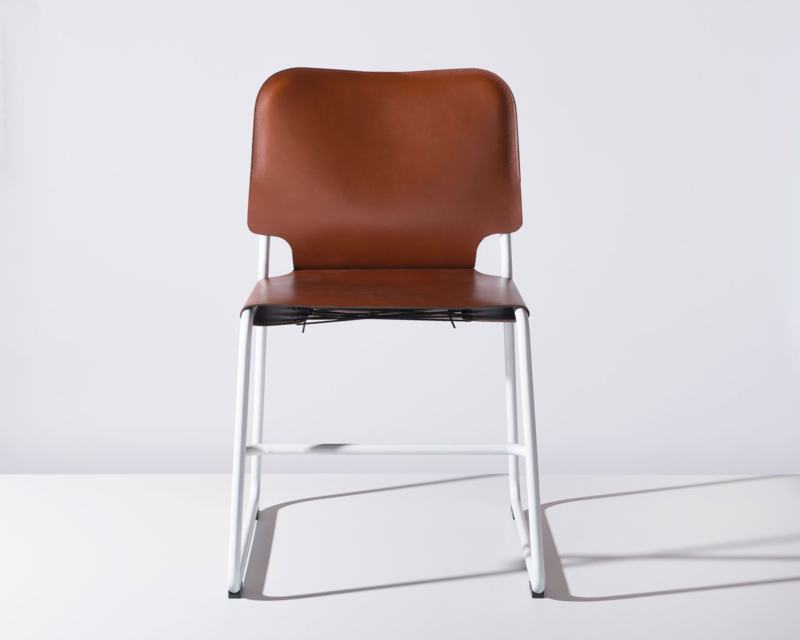 The TBC1 Chair by Adam Lynch is available in a range of standard in-house leather finishes and frame powdercoats.